Cleared the clog in the drain pipe. The guy who came was very professional and got the job done in the least possible amount of time. Professional nature, and he understood the problem. Solved the issue in a short amount of time. I'm Diamond Certified. I was looking for a guy and he was there. I think they do a great job. Very timely and professional, they are way underrated. Customer service is great and they get the job done. I called them on the weekend and they came out right away. The job was done quickly. 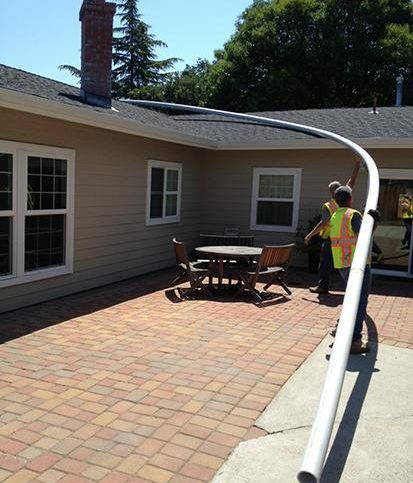 Advanced Plumbing and Rooter Service provides a complete range of plumbing services for residential and commercial clients in Contra Costa and Alameda Counties. In addition to maintaining and repairing all types of plumbing fixtures and systems, the company repairs and replaces traditional and tankless water heaters, handles the plumbing work for remodeling and addition projects, performs trenchless sewer line replacements, and more. 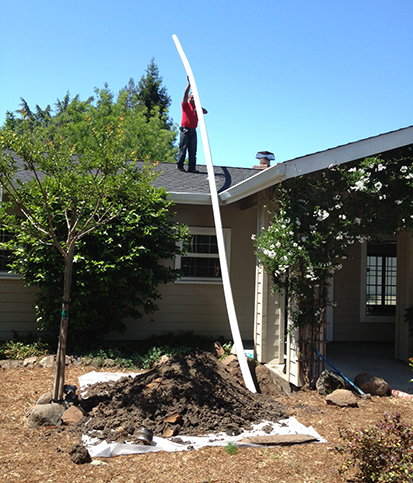 Advanced Plumbing and Rooter Service has been providing plumbing services for residential and commercial clients in Contra Costa and Alameda Counties since 1999. 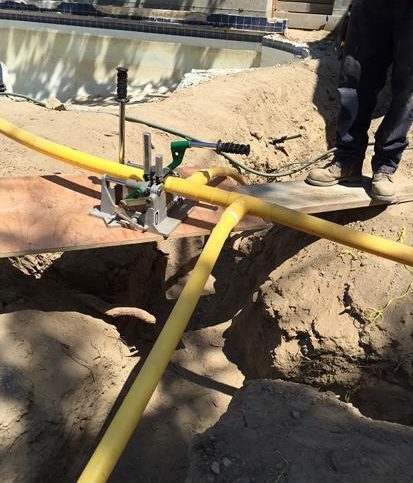 In addition to maintaining and repairing plumbing fixtures and systems, the company has the in-house capabilities to repair and replace water heaters (traditional and tankless), handle the plumbing work for remodeling and addition projects, perform trenchless sewer line replacements, and more. There are two types of water recirculating systems. The simplest, known as a water recirculating pump, is a device that can be easily installed on all types of water systems and doesn’t require new piping. Some even have built-in programmable times that activate during peak water usage (usually mornings and evenings) to save on energy costs. More complicated systems that require new piping are better options for homes with long runs between the hot water tank and water fixtures. 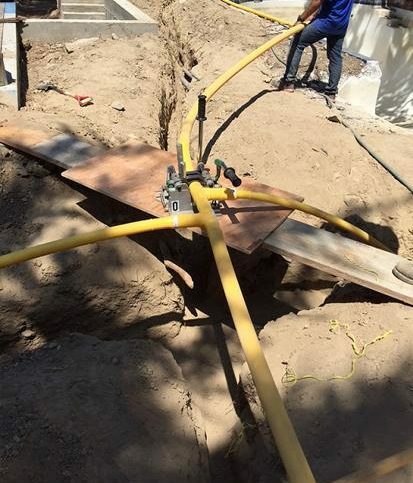 In this case, a new water pipe is run to the farthest fixture, which allows water to circulate from the hot water tank to the fixture. Another popular option only requires a new crossover junction between hot and cold supply lines that allows unused hot water to run through the cold water line and into the water heater. In both cases, when you turn on the shower or tap, the water is instantly hot. Be aware that these systems can waste energy if they’re not properly fitted to your home, or if they’re designed and installed incorrectly. 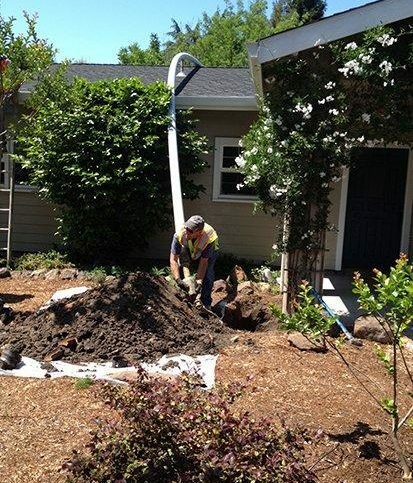 It’s important to work with a licensed plumber who has experience fitting and installing water recirculating systems. Q: Will you answer the phone when I call? A: Absolutely. We’re centrally located, so we’re easy to reach, and if we can’t get to the phone, we’ll call you back as soon as possible. A: We offer a great value, but we don’t try to be the cheapest company—our customers hire us because we’re educated in the industry, we communicate clearly and we know what it takes to solve their problems. Q: Can you help me choose the best brands? A: Yes. We only recommend brands that represent our quality work. There’s no such thing as a perfect manufacturer, and we don’t get any kickbacks from selling a particular brand, but we’ve found that some products work better than others. For water heaters, our first choice is Bradford White. We base that on the fact that we get the least amount of service calls on Bradford White water heaters, and they have a 24/7 technical support line. We also recommend BrassCraft, Fluidmaster and Grohe products. Q: Should I replace my water heater with a tankless model? A: There are several good reasons to go tankless, but there are also some disadvantages, so we prefer to educate you about your options and let you make the decision yourself. Tankless water heaters are great, but not every house needs one. If you need a water heater that can keep up with high demand, it’s a good investment, but you’re going to spend three times as much to have it installed. 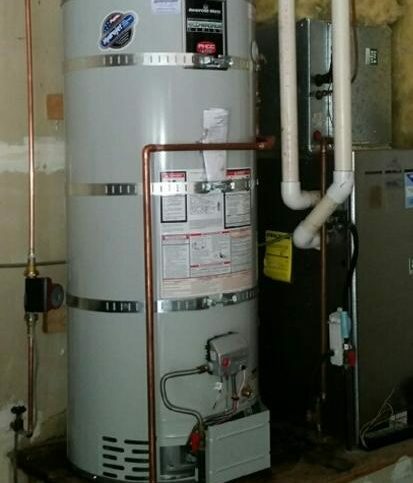 Advanced Plumbing and Rooter Service installed this water heater. Bill Van Mastrigt is a 20-year veteran of the plumbing industry and owner of Advanced Plumbing and Rooter Service, a Diamond Certified company. He can be reached at (925) 276-5616 or by email. A: It depends on the type of food I’m in the mood for. For sushi, I like Amakara in Dublin; for Mexican food, it’s Maria Maria in Danville. A: If I’m not working, I love to stay home with my kids and make grilled cheese sandwiches and tomato soup. A: I’m kind of both. A: Mainly country, but I have a background of listening to heavy metal bands like Metallica, which I still enjoy. SAN RAMON — If your water heater needs to be replaced, you may be considering switching to a tankless model. However, while a tankless water heater certainly has its advantages, it’s not necessarily a good investment for every home. Before making a decision, it’s important to learn about the pros and cons of tankless water heaters. The biggest selling point for tankless water heaters is the fact that they can provide an endless supply of hot water. Unlike a conventional water heater, which can only provide as much hot water as its tank holds, a tankless model has no such limits. However, while endless hot water may sound great, it’s simply unnecessary for many homeowners. If you don’t use a lot of hot water to begin with, a tankless water heater’s capabilities won’t bring many benefits. Of course, there are scenarios where a tankless water heater makes sense. It can be great if you have a large Jacuzzi tub in your master bathroom or if you have a big family and are constantly running out of hot water. However, if your old water heater has never given you such problems, your life likely won’t be much different with a tankless model. Tankless water heaters also offer superior energy efficiency. On average, they perform at 98 percent efficiency—far better than their conventional counterparts. Due to the reduction in energy waste, a tankless water heater is better for both the environment and your bank account. While a tankless water heater can save you money on your utility bills, it tends to be an expensive investment at the outset (about three times as much as a traditional water heater installation). Not only are the units themselves pricey, the installation can cost more, as switching from a conventional model often requires modifications to your existing plumbing. For example, you may need to install a larger gas supply valve and modify the ventilation. Another disadvantage of tankless water heaters is the fact that they’re complicated to work on. Most plumbers can work on conventional water heaters, but it takes factory-trained technicians to work on tankless ones. For this reason, a tankless water heater is generally more expensive to maintain and repair. 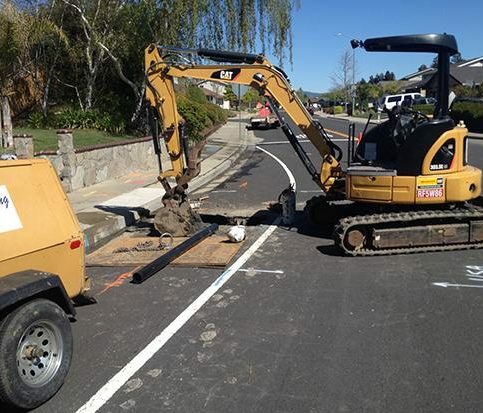 SAN RAMON – Like most people, you’ve probably had the experience of turning on your faucet or shower and waiting for the water to heat up. In fact, this is likely something you experience on a daily basis. However, there are three problems with this scenario: 1) you’re wasting water, 2) you’re wasting money and 3) you’re wasting time. Fortunately, there’s a simple solution that can address all three of these issues: a hot water recirculation pump. Typically installed beneath the sink, a hot water recirculation pump works by doing two things: First, it sends standing water in the hot water line back to the water heater—water that would otherwise be lost down the drain; at the same time, the pump draws hot water directly from the heater to the fixture being used. The pump is activated with either the touch of a button or a motion sensor, which cuts your wait time for hot water from minutes down to about five seconds. SAN RAMON — Host, Sarah Rutan: If you’re thinking about switching from a conventional water heater to a tankless model, there are a few practical considerations you’ll want to address. Today we’re in San Ramon with Diamond Certified Expert Contributor Bill Van Mastrigt of Advanced Plumbing and Rooter Service to learn more. Diamond Certified Expert Contributor, Bill Van Mastrigt: Today I want to talk to you about a subject that is an everyday question for us. And that is, “When my water heater goes bad, should I get a tankless?” Well, it’s a great question. And my answer usually is that it depends. Tankless water heaters definitely have an advantage, but there are some disadvantages. So, let’s talk about it. Okay. Your average water heater in your house is going to be much less efficient than a tankless water heater. That being said, there is a tremendous cost savings using a conventional water heater. Now, what are the advantages of a tankless water heater? Well, number 1, you have an endless supply of hot water. Okay, you can let this thing run for 24 hours, and you’ll never run out of hot water. That’s a huge advantage if you have a need for that, okay? And I’m a real big believer in selling people what they need and not so much just what they hear is the next greatest thing. 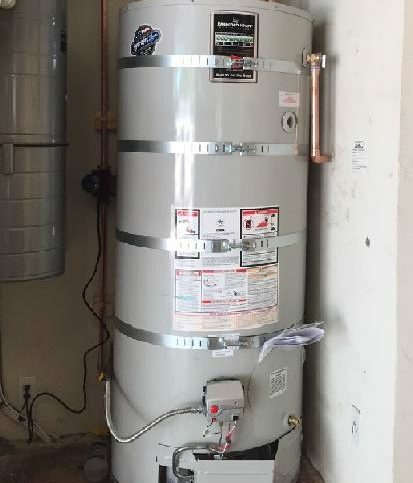 So, what is a good need for a tankless water heater? Well, for example, if you have a large Jacuzzi tub in the master bathroom, and you have a 50-gallon water heater, it won’t fill that tub and maintain the temperature that you want. So, that might be a good reason. And, you know, if there’s a medical need and/or you just like to fill this tub often, you know, it’s a good reason to consider switching to a tankless water heater. Another good reason could be that there’s many people living in the house that are, you know, sharing a 40- or 50-gallon water heater, and the water heater is just constantly running out of hot water. That might be a good reason. So, another advantage of a tankless water heater is the efficiency. Now, what efficiency means is: How much is it costing you to use the water heater when it’s on? So, tankless water heaters, compared to a conventional water heater, are typically about 98% efficient. Well, that’s a good thing. So, when you’re using natural gas, you’re not wasting any of that gas. That heat value is going right into the water, okay? So, let’s talk about some disadvantages. Tankless water heaters are expensive. Oftentimes you can spend three times the price of a conventional water heater, installing a tankless water heater. Another disadvantage is they’re complicated to work on. You know, usually, you need somebody that’s trained by the factory that can get into this thing, and take it apart, and service it, and make it work again. A tankless water heater can use three times the gas of a regular water heater when it’s operating. Therefore, we have to look at, number 1, do you have a large enough gas supply? Okay? And the other thing that a tankless water heater requires is a different type of a vent system. Typically, we can’t use the existing vent of a conventional water heater when we install a tankless water heater. Oftentimes we have to drill a hole in the side wall and re-route that vent to the outside. And when you look at the disadvantages versus the advantages, you really just have to ask yourself, “Is it worth spending three times the price of a regular water heater to go tankless?” So, the decision whether or not to switch to a tankless water heater really depends upon your personal circumstances, your situation, and what it is you’re trying to accomplish. 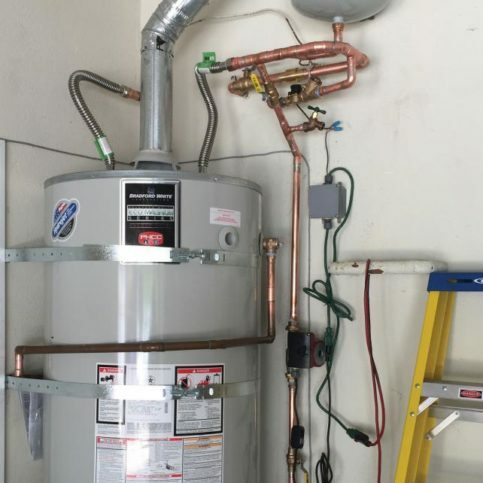 SAN RAMON – Host, Sarah Rutan: If you’re tired of wasting time, water and money on waiting for hot water, consider installing a hot water recirculator. Today we’re in San Ramon with Diamond Certified Expert Contributor Bill Van Mastrigt of Advanced Plumbing and Rooter Service to learn more. Diamond Certified Expert Contributor, Bill Van Mastrigt: Like most people, you probably had the experience of turning on the shower and waiting for hot water. What’s the problem with that? Number 1, you’re wasting water. Number 2, you’re wasting money. And number 3, you’re wasting time. 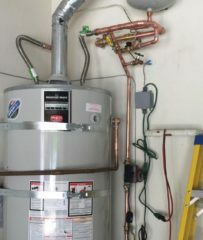 There’s a solution to that problem, and it’s called “hot water recirculation.” It’s a very simple concept, and it’s an easy-to-install system that can save you time, money, and water, just by recirculating from the water heater closer to your fixtures. This can cut your wait time from 2 ½ minutes down to about 5 seconds. Imagine the advantage of not having to wait for hot water. Advanced Plumbing and Rooter Service : Average 8.8 out of 10 based on 150 unique customer surveys of customer satisfaction. I think it is best to get the guy who is in charge. The service was prompt. We had a difficult problem, and they were able to solve it. They are very friendly and very responsive. They did good work. They are professional, clean, and punctual. When they commit to get something done, they deliver. Very quick response to my original request, very quick service, and a great price, they were very courteous and respectful. It was very helpful when they put cameras in my sewers, and they cut out the roots. It was better that they looked in there and cut the area that was having a problem rather than just using a snake. They are very good, and they are very timely. They are very professional, very quick to respond, and they provide excellent services. Extremely responsive, professional, and knowledgeable, we have an HOA, and they are probably the best contractor that we have used. We are very happy. They were quick. They came out the same day that I called. They should give them a call, as they have good service. Just the fact that when you call, they provide quality customer service, and they do a consistently good job. They show up on time, and the prices are fair. The overall experience, from the time I made the appointment to the time that they left, everything was great. They have never had to come back. 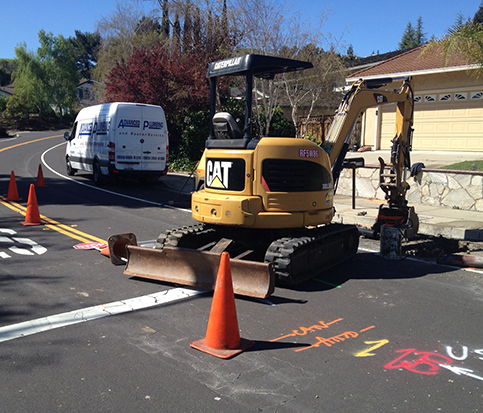 The workers' attitudes were really friendly and it showed that they cared about the job. They're very able and willing to make it on time. They helped a lot. They were very responsive to an emergency we had. They were very dependable, friendly, and reliable. The service is good as you would expect from a company who is Diamond Certified. I get your book and use the website a lot. He keeps his word. He does what he says he will do. He came when he said and fixed what he said, within the price he said.